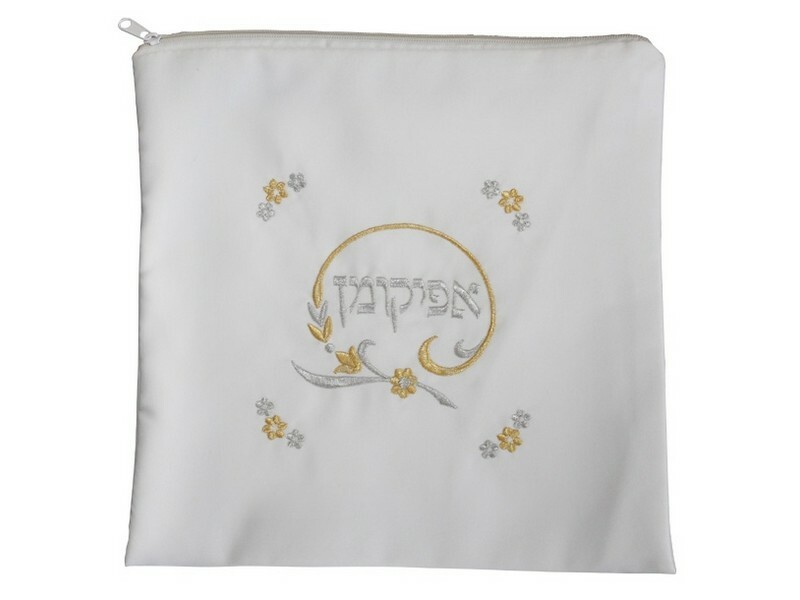 This Afikoman bag is designed with petite flowers embroidered with gold and silver colored flowers. 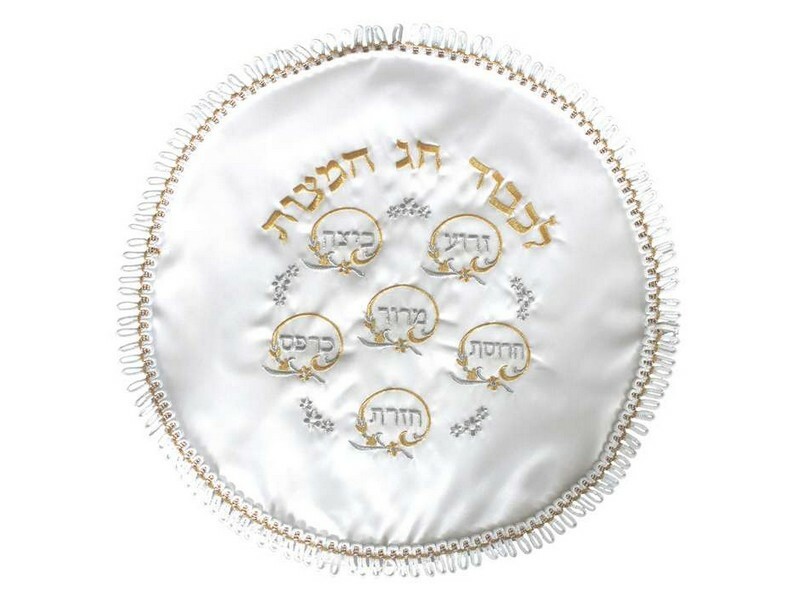 The Hebrew word “Afikoman” is embroidered with silver colored thread in the center of the bag and encircled with a floral design. The bag has a zipper on the top.